Out of stock since Friday, 25 January 2019. Due back Tuesday, 23 April 2019. Horsemen's Pride Jolly Ball Tug-N-Toss is an excellent interactive toy that can float and bounce. Even puncturing the Tug-N-Toss will not deflate it. It is produced from non-toxic polyethylene which is safe for everyone. 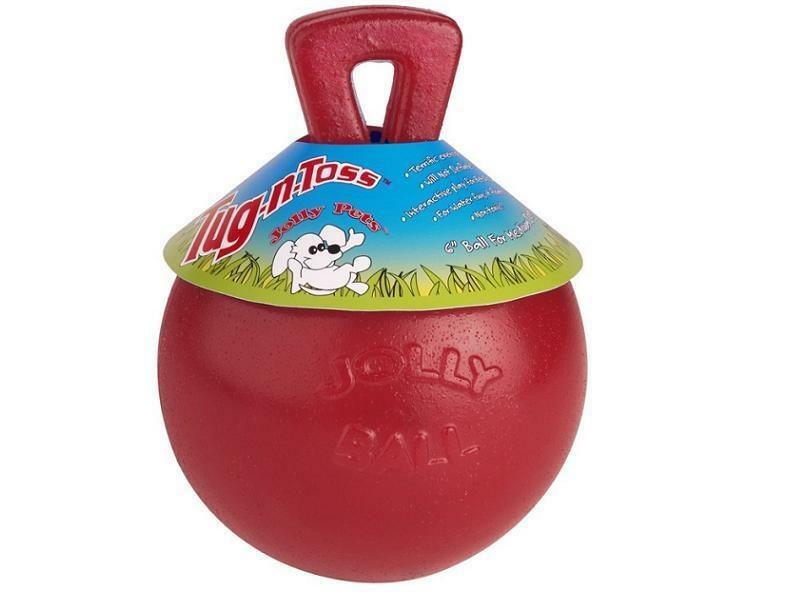 There are currently no questions for Horsemen's Pride Jolly Ball Tug-N-Toss Dog Toy - be the first to ask one!